The setting sun provided quite a dramatic and colorful feast for the eyes on Friday (Feb. 24, 2012). After a wet and cloudy day, the clearing sky to the west gave us this show to end the week. 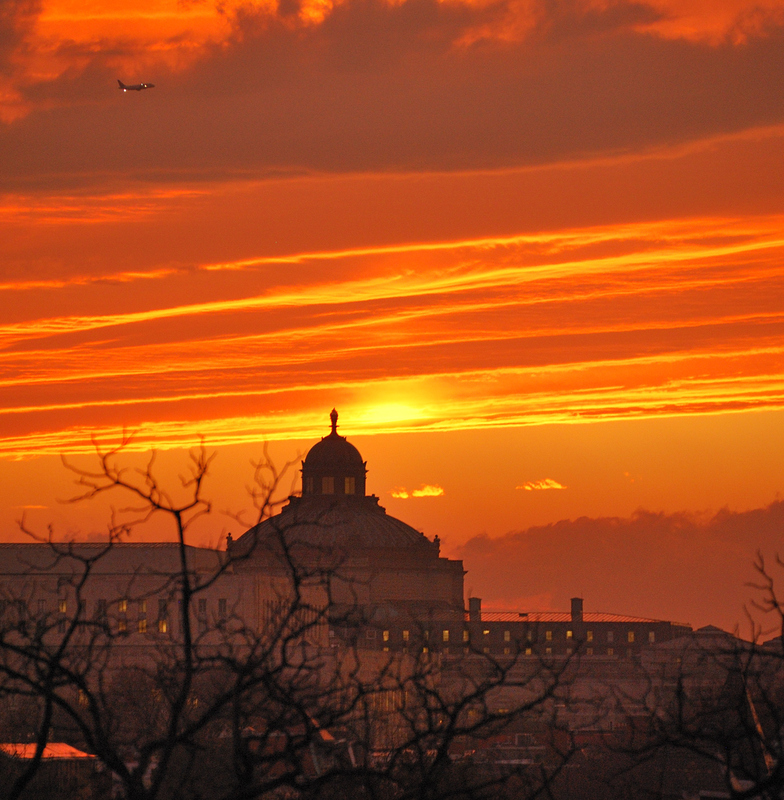 The sun sets over the dome of the Library of Congress. This entry was posted in Photos and tagged Library of Congress, sunset, Washington DC. Bookmark the permalink.